TENTACLES: When Nature’s Revenge Gets Weird – Schlockmania! Jaws stands alongside Star Wars as one of the key examples of Hollywood taking a b-movie premise and using top-shelf finances and talent to transform them into blockbusters. Like Star Wars, Jaws also inspired a ton of knockoffs – everything from Orca to Piranha to Tintorera. 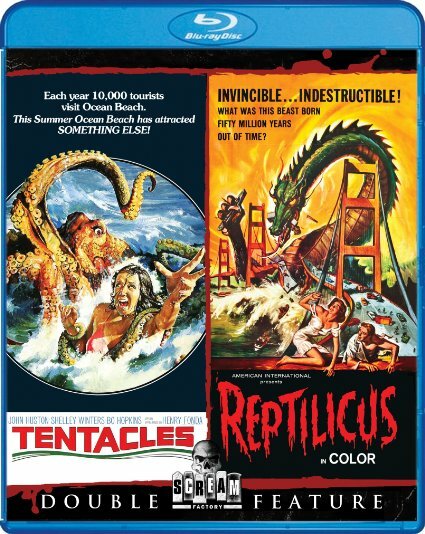 Perhaps the strangest film to emerge from this pack of trend-chasing aqua-terrors was Tentacles. The simple description of Tentacles is that is replaces the shark from Jaws with a giant octopus. However, the results are much stranger than such a description lets on. Tentacles begins with a string of mysterious waterside deaths in a beach town. Intrepid reporter Ned Turner (John Huston) tags along with the local sheriff (Claude Akins) as they debate theories of what happened. Ned turns his eyes to the activities of Trojan Construction, who are using experimental equipment to make an underwater tunnel. In doing so, they have enraged a giant octopus and the town will need the help of oceanographer Will Gleason (Bo Hopkins) to vanquish this foe. 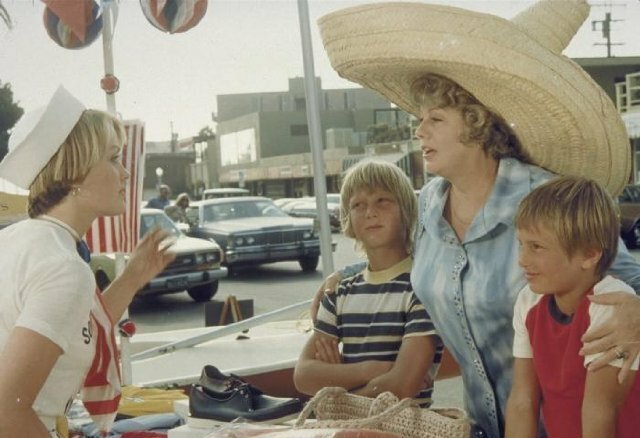 Adding further complication is an annual regatta that puts the son of Ned’s sister Tillie (Shelley Winters) in harm’s way. Simply put, Tentacles isn’t a very good movie. The script is made of recycled parts and clichés, leaving the hard-working cast with little to do besides look worried and cash their paychecks. That’s a shame because this is the kind of collection of Hollywood pros that would make Irwin Allen’s mouth water. Decent underwater photography is offset by lousy special effects, including a Italian genre film’s typical weakness for unconvincing miniatures. Most damningly, the film is glacially paced, stretching out about 80 to 90 minutes worth of story into 102 draggy minutes’ worth of film. In short, Tentacles won’t thrill you the way its model Jaws did but its eccentric approach to cheap thrills might leave you slackjawed. If you’ve got the intestinal fortitude to roll with it, this film has a treasure-trove of bizarre artistic choices to throw at you. Blu-Ray Notes: Scream Factory just released this title on blu-ray as part of a 2-for-1 disc with Reptilicus. The transfer is pretty nice, doing well by the lush, exterior-heavy photography, and the lossless presentation of the vintage soundtrack sounds pretty vigorous, particularly in its use of the score. Extras include the disaster movie-style A.I.P. trailer, a fun radio spot and an image gallery with plenty of stills and poster art.